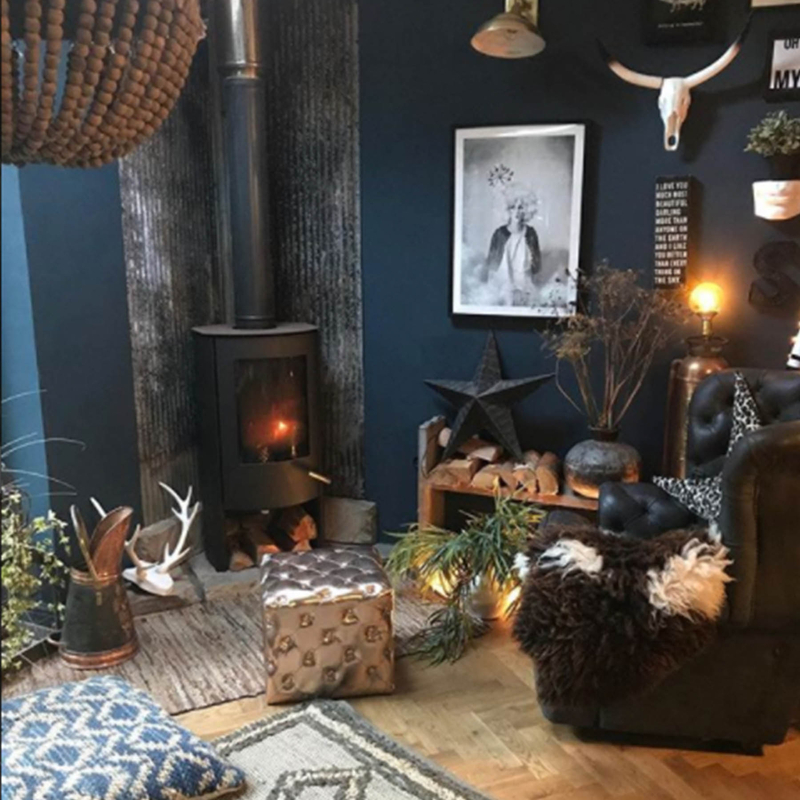 One of our recent customers was Interiors blogger and homewares shop owner Shelley Carline or better know as Hilary&Flo on Instagram. 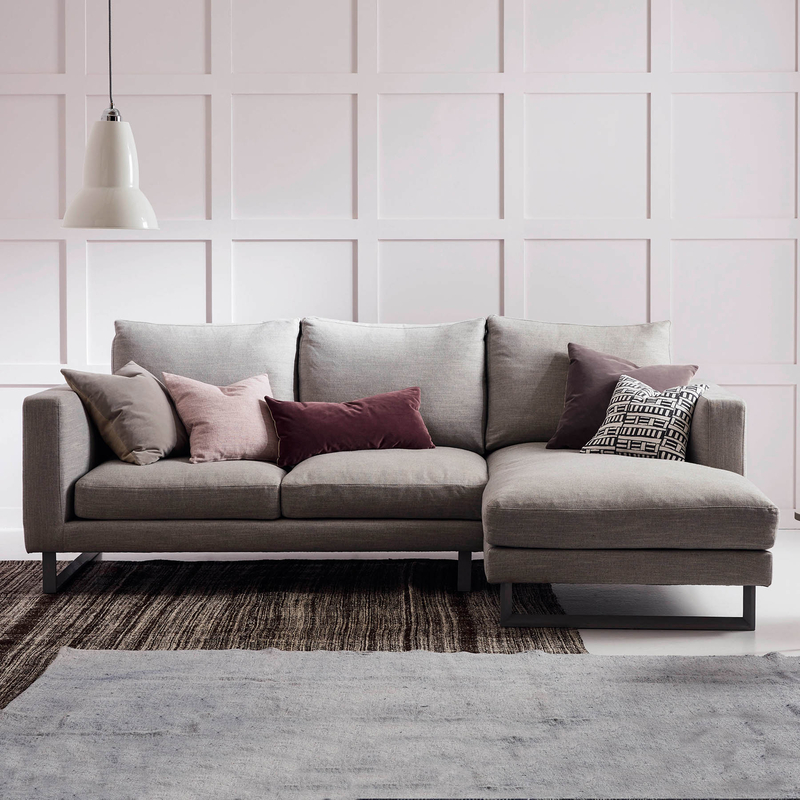 We thought we would ask her a few questions about her interior style, influences and trend predictions. I've always had a thing for interiors, but my real passion started when I bought my first house aged 25. The basics of the house were absolutely fine, but the decoration was terrible! I was a single mum at the time and so everything had to be done on a tight budget and with imagination. 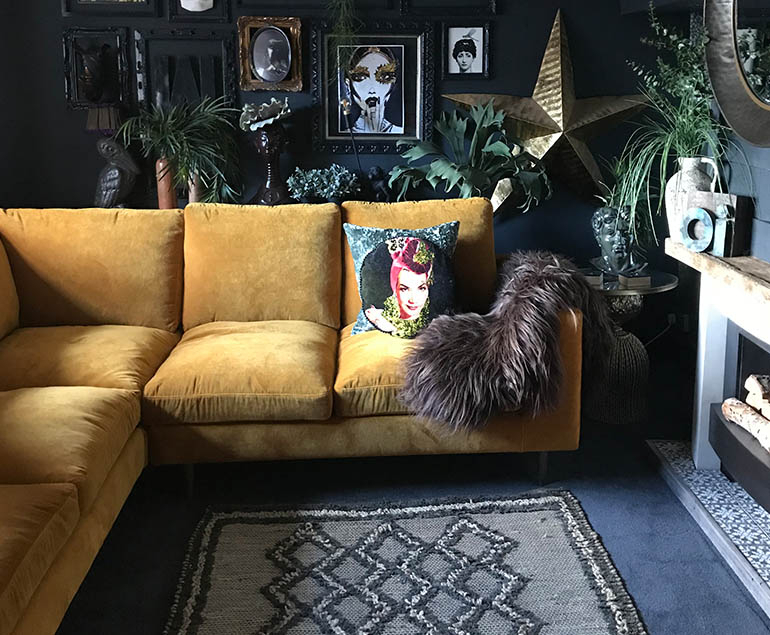 I used to spend a lot of time decorating and rearranging when my young son had gone to bed and soon got hooked on interiors and it became a hobby. I moved into the house I am living in now 13 years ago and it belonged to my husband. Between us, we have completely renovated the house including 2 extensions and decoration throughout although there is still lots to do. Any spare time I have now is spent on the house - I just love it and find it really therapeutic! To be honest, I really haven't a clue what my style is, I kind of make it up as I go along! I love a lot of different styles and I think my style is a mixture of them so probably described as eclectic. I love dark rooms, lots of different textures and a rustic feel. My style is constantly evolving. I don't particularly follow trends, but get a lot of inspiration from Instagram, Pinterest and magazines. We had a wood burner installed in our kitchen extension last year and it was one of the best decisions we made. I love curling up with a book and a glass of wine in front of it on an evening - I don't know how we did without it. What colours/trends do you see for 2018? Pantone's colour of the year is Ultra Violet which I think is a tricky colour to use for a lot of people. I feel people may use it in a diluted form through accents on walls, furniture and accessories. 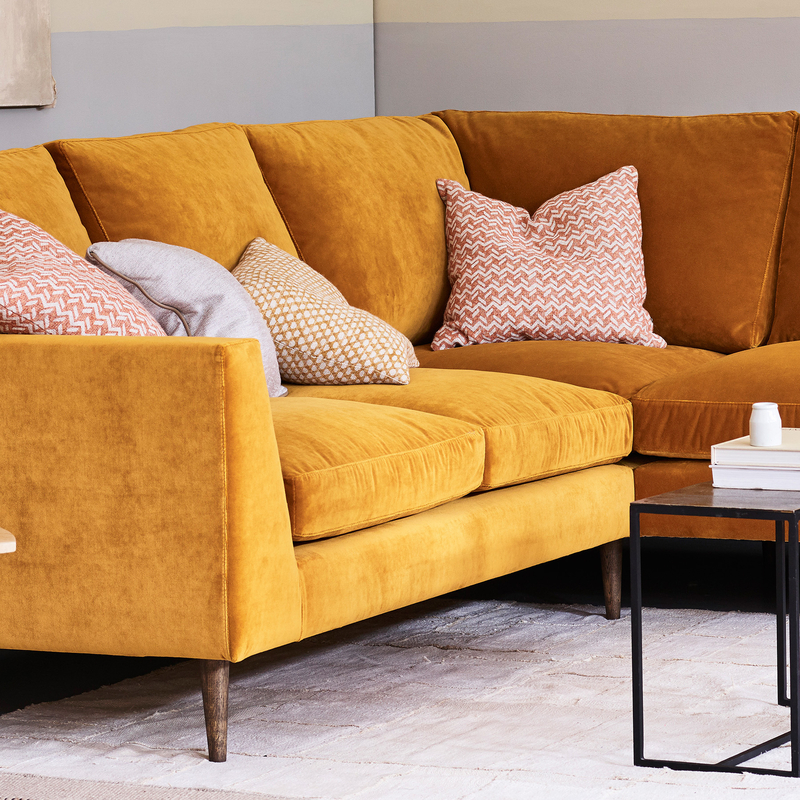 I also I think we will lead to a lot more use of brighter colours in the home such as yellows, burnt oranges and deep berry colours. 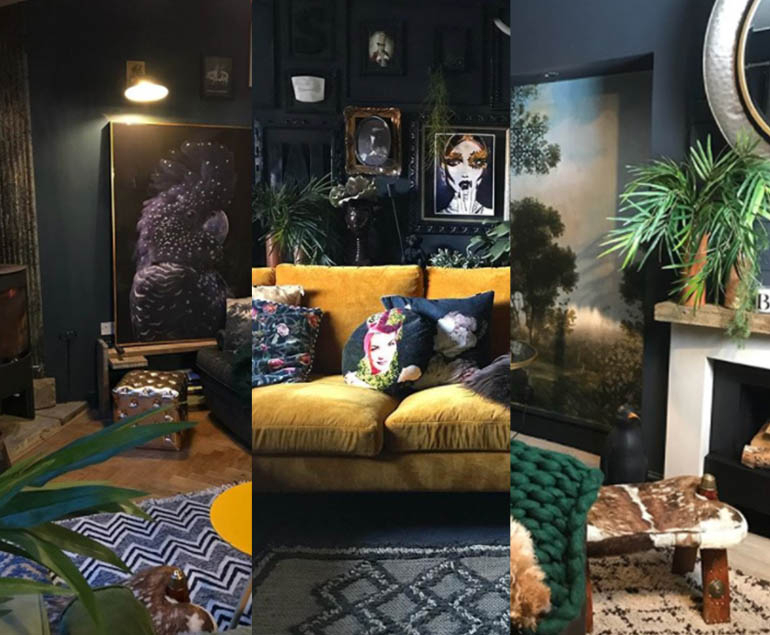 Statement ceilings will also be making more of an appearance which is a trend that I would be very keen to use in my own home - I have always wanted to use vintage tin tiles on my kitchen ceiling or maybe wallpaper in the bathroom. Gallery walls will still be big, but there will be a move towards oversized and statement pieces of art. I think that dark interiors are here to stay - thank fully! Who are your top 3 people to follow on Instagram? cowboykate_ Kate was one of the first people I followed on Instagram and her house is my house of dreams. Her house is always constantly evolving and I'm always excited to see what she will do next. suburbansalon Julia is also one of my good friends who I actually met through social media. She makes the most beautiful mongolian fur stools and cushions and her house is beautiful and full of eclectic finds. kelldon Donna is not only a very talented artist, but also absolutely hilarious!! Her daily stories make me smile everyday and she has just installed an amazing bar extension in her beautiful home which I am extremely envious of!